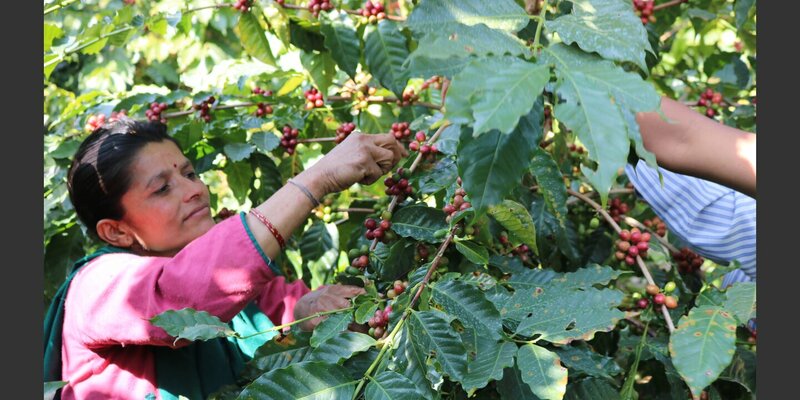 Helvetas has been promoting coffee in Nepal since the early 1980s — initially for soil conservation, and then as a commercial crop. We have trained women and men farmers in organic cultivation techniques; supported quality processing of coffee beans; and facilitated the formation of cooperatives. Helvetas continues to support smallholder coffee growers today, both in production and in national policy and trade discussions. Coffee bushes grow well on steep, shaded land prone to soil erosion that is unsuitable for other crops. The plant was thus a good choice for soil conservation – but it soon became apparent that it also had significant economic potential. As more and more small-holders started to grow coffee, Helvetas trained them how to avoid or reduce pests and diseases, and how to cultivate organically. 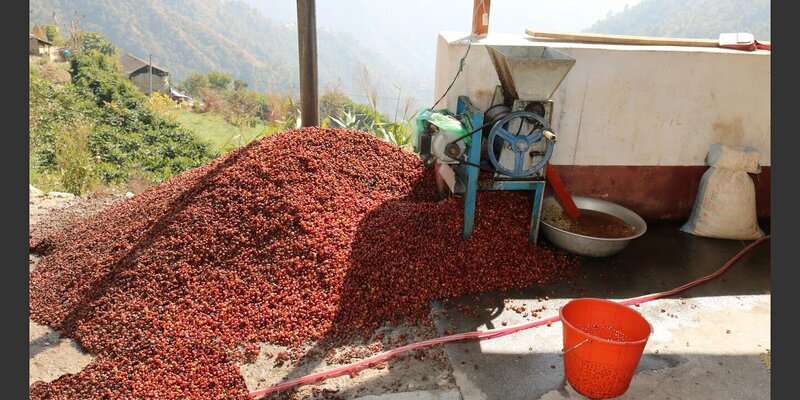 Improved (wet) processing of coffee beans was introduced, corresponding to the demands of high quality export markets. Training curricula for coffee production and processing, leading to a certificate qualification, were devised in collaboration with the Council for Technical Education and Vocational Training. Initially coffee farmers organized themselves into associations. However, becoming organized into primary and secondary cooperatives gave easier access to Fair-Trade markets. Helvetas promoted the establishment of such cooperatives, offering them support in developing their organizational procedures, and encouraging the membership of women and socially disadvantaged farmers. Some 45% of the 15,000 members of cooperatives supported by Helvetas are women. 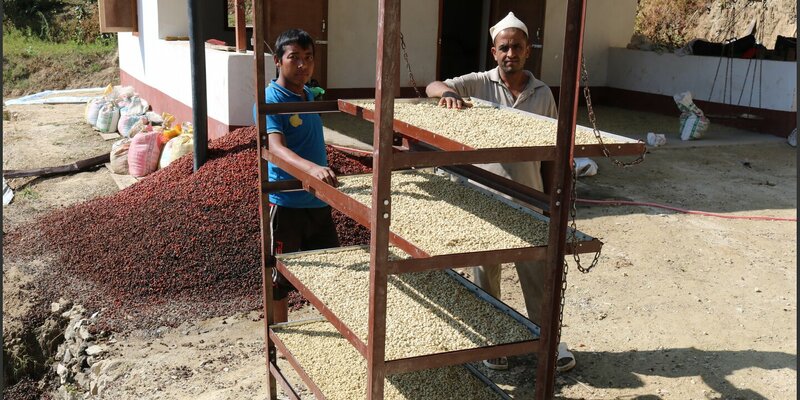 When the devastating earthquake of 25 April 2015 hit Nepal, the buildings of many coffee cooperatives were destroyed or badly damaged. Helvetas supported them to “build back better”, with pulping (processing) centers designed in an environmentally friendly manner to minimize energy costs and water wastage. Three central collection and processing units were also built. With growing national coffee production, Helvetas has become increasingly engaged in policy and trade support. Under the Trade and Private Sector Development project funded by the European Union funded, we are currently advising key actors in the coffee sub-sector – always with the aim of supporting smallholder women and men farmers.